How Bathroom Exhaust Fans Work and for What Purpose? 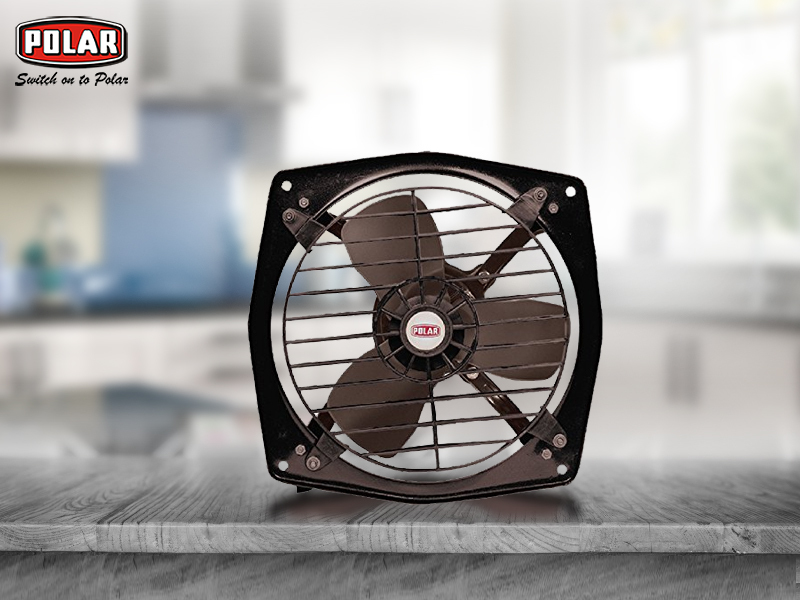 The premium quality exhaust fans are manufactured and supplied by the most reputed Exhaust Fan Manufacturer in India at modest prices. Buy one for your home. The Bathroom exhaust fans are the integral part of the bathrooms. Moisture can cause some significant problems inside the bathroom as well as the other enclosed spaces of the house. Exhaust fans are the best ways for keeping the enclosed space including the bathrooms dry. Whether one is doing the renovation of the bathrooms or just wanting to keep the bathroom at its best condition, be sure that the bathroom is properly ventilated. The widest varieties and the most efficient exhaust fans are manufactured and supplied by the most renowned Exhaust Fan Manufacturer in India. How Does A Bathroom Exhaust Fan Work? A bathroom exhaust fan makes the use of an electric fan for drawing air into the unit. The air containing moisture is then routed through the duct running outside. These units should be installed properly with exterior venting. Professional installation is suggested to ensure the correct operation of the bathroom exhaust fan. Moisture Problems in Bathroom:- So, what are the bathroom exhaust fans so important? The wonderful and steamy showers, which prepare the user for the day may cause some serious problems for the bathroom. The steam cools down and condenses into water. This water creeps into the corners of the bathroom. It is important to cut down the moisture level to protect the cabinetry and the walls of the bathroom. Mildew and water can cause the paint to peel off eventually, wood to wrap, damage drywall, and metal to rust. Even more worrisome is the development of bacteria that can be unhealthy and smelly. Moisture content in the air creates an environment to welcome the molds. The mold spores may cause a health hazard and can even affect negatively the worth of your home. The Bathroom Fan – The Ultimate Solution:- For keeping your bathroom dry and safe, an effective and an efficient exhaust fan is needed. These types of fans moves out the moisture content quickly out of the enclosed space making it sure that the bathroom will not get damaged by excess molds, mildews, and water. In addition to the excessive moisture content, the bathroom exhaust fans also helps to remove the stuffy gases from the hairsprays and the other grooming products. Exhaust fans also clear the air that comes out of the perfumes besides eradicating the other odors from the space. Comparing Performance:- The exhaust fans are rates on some chief performance statistics. First of all, one must consider the amount of air that the fan can remove. This measured in terms of CFM that is cubic feet per minute. The powerful models can earn ratings up to 150 CFM. While choosing an exhaust fan, be sure to outfit the larger bathrooms with the powerful units. Bathroom exhaust fans are rated as per the loudness as well. This is measured in a unit called sones. A quieter fan receives lower sones rating. The ultra-quiet models offer a sones rating of approximately 0.3, whereas the more intensive units may score to 3.5 or even more. Keep the noise level in mind when buying the exhaust fan for the bathroom especially if the bathroom is attached to the bedroom. There are several options if one is doing Online Shopping of Home Appliances. Bath and the Light Combinations:- Most of the latest models of exhaust fans are combined with flushmount ceiling light fixture in order to offer an excellent combination of features. The lighted ceiling exhaust fans offer both ventilation as well as illuminating in a single package. The exhaust fan components are hidden neatly offering a stylish and a functional bathroom. Are Online Shopping for Home Appliances A Safe Bet? Copyright © 2016 polar-india.com. All Rights Reserved.